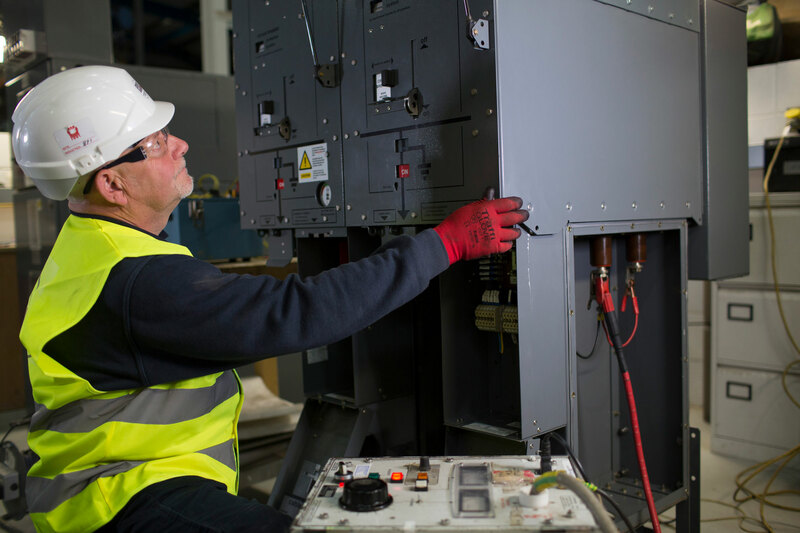 We are able to offer full contract maintenance on all of our client’s electrical distribution equipment including HV switchgear and transformers. In the modern world, Health & Safety procedures in the Control, Operation and Maintenance of electrical equipment is very important and consequently covered by legislation. Our unique database informs the client when service work is due and trained Authorised Personnel attend site and carry out all the work. Evidence of work carried out is submitted, and through our Defect Reporting Scheme we identify operating restrictions and discuss them with the client. Our customers enjoy a 24/7 call out facility. ESE Ltd have a large stock of replacement Transformers and Switchgear should the need arise.